Among TFV8 series with stylish bottom airflow system, it is SMOK TFV8 Big Baby Beast 5ml Tank Gold with top airflow that we are making the attempt to provide an entirely different tank for clouds chasers. 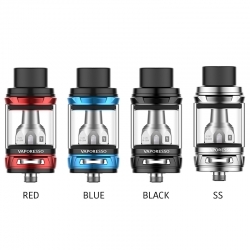 This product is the genuine SMOK baby beast clearomizer, so buy now with customer satisfaction guaranteed on all our products. 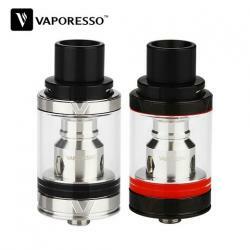 Among TFV8 series with stylish bottom airflow system, it is TFV8 Big Baby Beast with top airflow that we are making the attempt to provide an entirely different tank for clouds chasers. And our engineers make innovation on both the structure and coil's design. So it brings massive clouds, rich flavor, smooth airflow and pleasant atomization sound after repeated test and improvement. 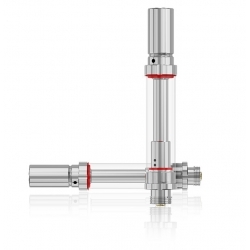 Besides, large 4.0ml capacity and classical swivel top cap design makes refilling and leak -proof easier. Finally, as the baby beast brother, TFV8 Big Baby Beast will be a surprise member of TFV8 family. Innovation keeps changing the vaping experience.